Concluding the first phase of the region's power pool project, the Ethiopia and Kenya electricity transmission interconnector is anticipated to be completed next year. Tanzania was given more than $450 million by the World Bank for a similar project that will connect the country to Zambia and South Africa, under the regional power pool project. Joseph Njoroge, Kenya’s Energy Principal Secretary said that the 1,045km line is three-quarters complete on the Kenyan side and 90 percent complete on the Ethiopian side. The Kenya-Ethiopia interconnector is a high voltage direct current line, with more than 600km of it being on the Kenyan side and 430km on the Ethiopian side. The project seeks to connect the national electricity grids of more than 10 regional countries, with the aim of ensuring energy flows from countries with a surplus to those facing a deficit. 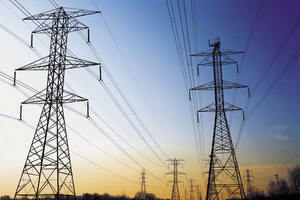 Tanzania received $465 million in June for its power interconnector project with Zambia as part of the power pool projects. The World Bank stated that the credit will finance construction of critical high voltage transmission infrastructure that will support the electrification of the northwestern and southern regions of Tanzania. The loan from the World Bank will go into funding the Zambia-Tanzania Transmission Interconnector Project, which is expected to increase power transmission capacity to the country’s southern regions, and a $10 million grant will be used towards the Eastern Africa Power Pool for regional power trade. The regional Transmission Corridor Development is implementing these projects which will see Tanzania link the East Africa Power pool to the Southern Africa Power Pool (SAPP).